Who Will Join the Oodkind? | Barbie Who? Who Will Join the Oodkind? Today was a rather slow day, so I decided to get all of the dolls out to decide which one will become an Ood. Crocheting the mask has hit another road block, and I need a good distraction from that frustration. I also think that it will be better to decide on a doll now so that I can make 100% sure the mask will fit. Honestly, I am amazed by how much size varies between different dolls. This will also give me the freedom to make other pieces of the outfit as the mask continues to frustrate me. Overall, a good direction for this project to go in. 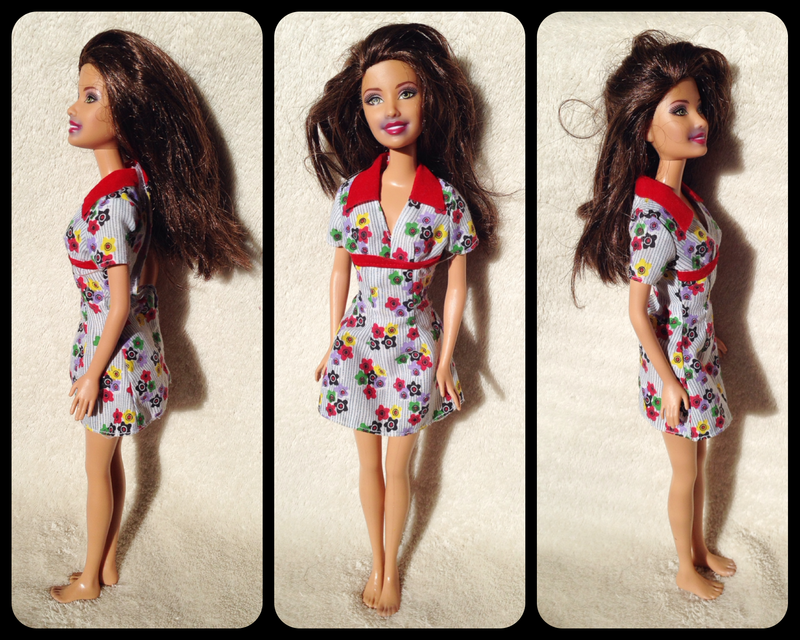 Originally, I played with the idea of using a cheap generic dolls. You know the type; they have hollow plastic bodies and badly rooted hair. I thought about using them because this doll will be completely covered in clothes and a mask, so you won’t be able to tell what type of doll is underneath. Then I remembered that I have more than enough quality dollsI could use. I can always switch out which doll later on, if needed, so I may as well go for a nicer doll to begin with instead of settling for a lesser item. That led me to look through all the dolls and pick out who would be the best candidate to become an Ood. As I started looking through dolls, I realized that some of my dolls have more problems than I realized. I found two dolls with head issues, and I chose them for this project. Since the Ood doll is designed to wear a mask, they’re the perfect choice. I decided to create two Ood because I am creating my own pattern for the mask. This means that the first mask will be a prototype and the second will be the final product. This will give me the opportunity to make an Ood with white eyes and one with red eyes. It will be fun opportunity for two dolls that I would not have otherwise used because of their defects. First we have what I believe is a Teresa doll. I think she is a Teresa doll because of her brown hair. I looked at some Nikki dolls with brown hair, but the nose doesn’t match. This makes me fairly confident in saying she is some type of Teresa doll. She has the same sized feet as the 2006 Beach Glam Barbie I used for Cofelia. However, every beach glam Teresa doll I could find was wearing blue earrings. This doll has no earrings or holes near her ears where earrings were pulled out, so she isn’t a Beach Glam doll. I have no idea who she is beyond just a Teresa doll. She has a 2003 head and a 1999 body, so she is a fairly new doll. Any ideas on who she looks like is appreciated. After talking to my friend Gwendolyn, this doll has been identified as Barbie in a Mermaid Tale Teresa. This doll has the large feet, no earrings, and the same hair. Thanks Gwen! I couldn’t have tracked it down without your help. As you can see, her big problem is that somebody took a Sharpie marker to her face. I tried cleaning her with soap, a magic eraser, and some goo-gone, but it didn’t fade the stain at all. Since the stain is right next to her lips, I don’t want to use acetone for fear of wiping away her lipstick. At first my inability to clean her was disappointing, but I am making the best of the situation. She has knees that snap into 3 positions and five points of articulation. Overall, she is a nice doll for this project. The other doll I chose to join the Oodkind is a Barbie doll. Which one? Your guess is as good as mine! She is an unknown Barbie doll with a 1998 head and a 1966 body. Her arms have articulation at the elbow. and she has a nice hair color. 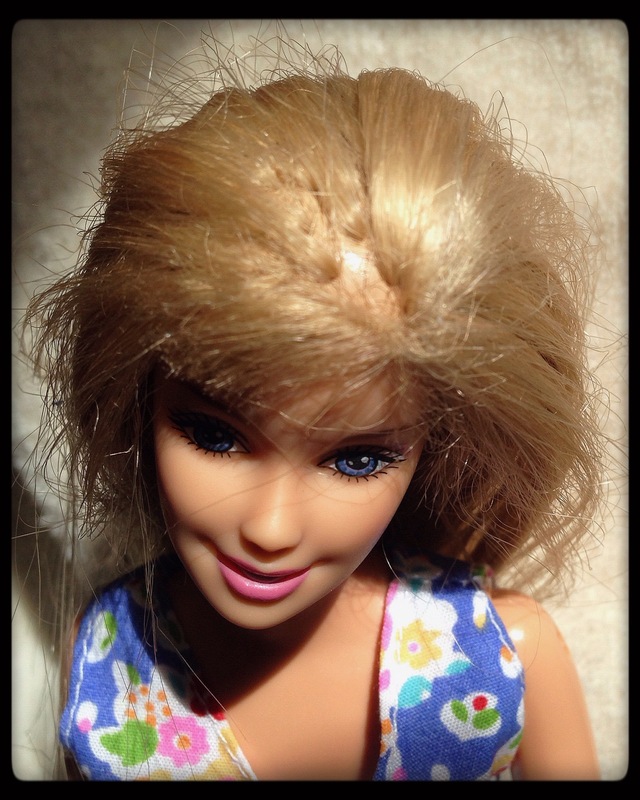 It isn’t the platinum blonde that you see with most dolls; it is a more natural blonde color. It is a bit hard to see in the picture above, but her big flaw is her hair. I believe my baby pulled the hair right out of her! I don’t remember buying any dolls with this type of problem. To be honest, it is something I normally would have passed on if I had noticed. I am not at a point where I want to consider rerooting hair. Considering she made her way into the mix, she was a natural pick for this project. She also has a slight bend in her right foot. It isn’t as obvious in the pictures, but it is more pronounced when you’re holding her. It isn’t a big enough flaw that I feel like it needs repairing, but I may try a hot water technique for bending it back just for the experience. We shall see! I’m not sure how ambitious I am about it at the moment, but it is a possibility. I don’t remember exactly where I bought these dolls. I know it was a thrift store, and I also know it wasn’t GoodWill because they don’t have a price written in marker on their feet. I believe these were among the earlier dolls that I found before I started blogging. Sorry that my memory is failing me! I am usually fairly good at remembering where I got dolls and how much I paid. Based on my habits, I can tell you that each doll cost less than $1.00 and were bought second hand. That is it for today. 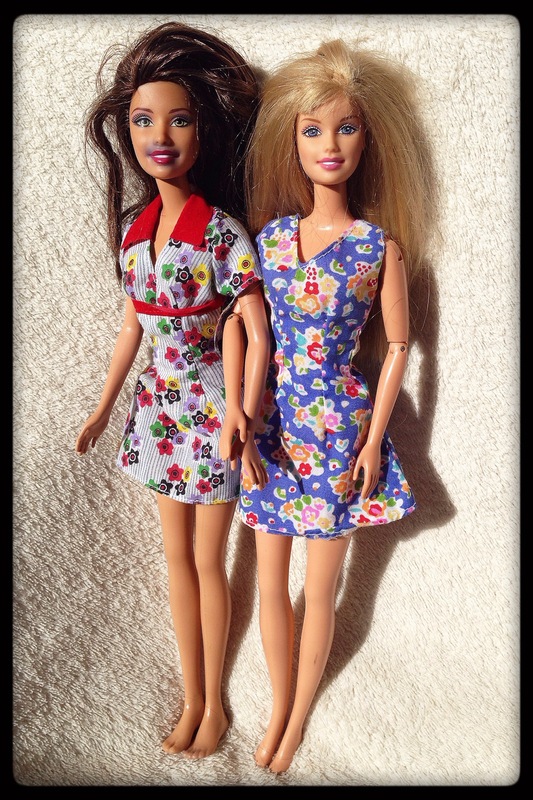 I feel good about having the dolls chosen for this entry in the blog. Now I know that I can make clothes for them. Luckily, both are the belly-button type of body, so clothes should transfer fairly well between the two of them. I will continue working and re-working the mask, and I do plan on releasing the pattern so that any other ambitious crocheters can make one, too. Keep your eyes out for the next update!